If you love clowns or hate them, you probably have this man to thank: Phineas Taylor Barnum, otherwise know as P.T. Barnum. Barnum was the brains behind the most well-known circus in the world, Ringling Brothers and Barnum and Bailey Circus, but he was much more than just the ringleader. A shrewd businessman and daring entrepreneur, Barnum brought hoaxes and sideshow curiosities out into the mainstream through bold marketing techniques and other unique business strategies. But Barnum also knew the power of the written word. He authored his autobiography, The Life of P.T. Barnum and it went on to become the second-most printed book by the end of the 19th Century. Indeed, it was second only to the New Testament. Barnum also wrote the fascinating book The Humbugs of the World: An Account of Humbugs, Impositions, Quackeries, Deceits, and Deceivers Generally, in All Ages, which outlines the various tricks entertainers use to charm audiences out of their money. The book was not particularly well-received by some of those who employed the tricks he describes in his book, but it only increased the legitimacy of Barnum's reputation as a straight-shooter with strong business acumen. 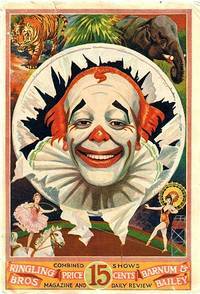 Anyone interested in the history of circuses and sideshow attractions should definitely browse Biblio's collection of antiquarian books and ephemera dedicated to P.T. Barnum. Barnum's personal narrative alone is reason enough for interest.